The overthrow of the democratically elected President of Ukraine in February 2014 was one of the most important geostrategic occurrences during the past century, because it led to the breakaway from Ukraine of the two regions — Crimea and Donbass — that had been the most opposed to the overthrow, and that had voted over 75% for the President who had been overthrown. And those two breakaways from Ukraine were then presented in the U.S.-allied “The West” as having resulted from ‘Russian aggression’, which then became punished, first by economic sanctions against Russia, and then by massive NATO military buildups on Russia’s borders. But, now, some of the participants in the coup are going public about the matter, because the people who had hired them cheated even them. The Italian newspaper Il Giornale, and Italian Mediaset Matrix TV, Chanel 5, issued, on November 15th, confessions by a few of the snipers who on 20 February 2014 fired down into the crowd of “Maidan” demonstrators and police, in order “to sow chaos,” as they say that they had been instructed to do. That’s Mikheil Saakashvilli, the U.S.-imposed President of Georgia, during 2008-2013, who, after becoming extremely unpopular in Georgia, and convicted in absentia there for corruption, became subsequently the U.S.-imposed Governor of the Odessa region of Ukraine. He always suppressed speakers of the Russian language (such as Odessans are), in both countries, both of which nations border Russia (which is why the U.S. regime especially wants to place its missiles there). He now has no citizenship of any country, because he is outlawed both in his original country, Georgia, and in his adopted country, Ukraine. As being the 30 May 2014 appointed Governor of Odessa (where on 2 May 2014 had been perpetrated by the U.S-imposed regime a horrific massacre of locals there against the coup), he turned out to be too rabid a hater of Russians to be acceptable even to the U.S. regime’s figurehead President of Ukraine, Petro Poroshenko, and so was removed and expelled from Ukraine. The coup itself had been in preparation by the regime of U.S. President Barack Obama ever since 2011. It was a major plan of Obama but kept secret from the public until the coup was sprung in February 2014, such as is shown in this recorded phone-conversation, where Obama’s agent on Ukraine, Victoria Nuland, tells Obama’s Ukrainian Ambassador, Geoffrey Pyatt, whom to place in charge of Ukraine after the coup will be completed, which occurred 22 days later. The coup itself hired far-right mercenaries from not only Georgia and Lithuania (such as are here confessing to these Italian newsmedia), but also from Israel and unnamed other countries, but above all from Ukraine itself — members of both of Ukraine’s two racist-fascist or idelogically nazi Parties, the Right Sector, and the “Freedom” or “Svoboda,” Party (which latter had previously been called the Social Nationalist Party of Ukraine until the U.S. CIA told them to change their name to “Freedom,” which sounds much better to Americans). The two heads of the coup, organizing it on the ground in Ukraine, were the Right Sector’s founder Dmitriy Yarosh, and the co-founder of Svoboda, Andriy Parubiy. In addition, there were paid ‘protesters,’ to add mere bodies and voices to the crowds. And, “Parubiy co-led the Orange Revolution in 2004.” That was a straightforward CIA operation. So, Parubiy was an expert at organizing a coup for Washington. But, the people who now are going public about their participations in the coup didn’t know anything above the man who had hired them: “Mamuka Mamulashvili, Saakashvili’s military advisor.” In March 2016, Parubiy (the man who had actually hired Mamulashvili and a few others like him) was specially honored and received in Washington as a hero of democracy, by NATO’s PR agency, the Atlantic Council. George Orwell’s 1984 Big Brother is alive and well in ‘the free world’, the ‘democratic West.’ But apparently, Italy isn’t quite as much of a dictatorship as is today’s United States. This news-report is — like all that I do — being sent free of charge for publication to all U.S. and many of its vassal-nations’ ‘news’media; and, so, if you don’t read about it, or any such news, in the New York Times, or in the New Yorker, or in the Washington Post, or Mother Jones, or National Review, or CNN, or Slate, or the Guardian, or the Independent, or etc., then you know why you don’t. It’s not because the ‘reporters’ and the editors and managers who hire and fire them, really believe that the coup in Ukraine wasn’t a coup, and that Russia, instead of the U.S., is the world’s ultimate aggressor-nation; it’s instead because they themselves are part of the aggressor-regime, the national government (both public and private) that’s overwhelmingly recognized, by people outside the U.S., to be “the biggest threat to peace” in the entire world. They know this — that they’re propagandists for America’s dictatorship— but Americans don’t; because the ‘news’ they receive never reports it (just like they never report that they had covered up George W. Bush’s lying about ’Saddam’s WMD’ etc.). The biggest news-stories are therefore the ones that the press won’t report, because the press are a crucial part of the perpetrator-regime itself. And this is called ‘democracy’. It’s ‘democracies’ such as this that perpetrate such atrocities as Iraq 2003, Libya 2011, Syria since 2012, and Ukraine 2014; and they couldn’t do it without the crucial lying. Up next are Iran, Lebanon, and maybe, finally, Russia itself; and the lying against Russia is and has been nonstop, especially after 2011. Russia lies about small matters such as about sports-doping, but America lies about big matters, such as about which of the two nations is the aggressor against the other. Regarding the serious matters, Russia’s newsmedia are vastly more-honest than are America’s, and should therefore be read in preference to TIME, NYT, WP, CNN, etc. But, of course, none of the U.S. regime’s ‘news’media will allow this fact to be published. And a world-ending nuclear war could result from that. 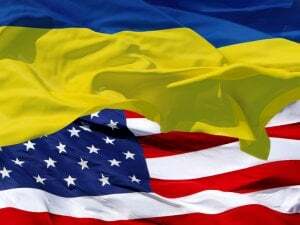 Ukraine was seized by the U.S. regime as part of the plan to conquer ultimately Russia. This plan crucially includes adding, to NATO, Ukraine — which has Europe’s longest border with Russia. The only way to end that neo-Hitlerite plan is to end NATO now. In the U.S. regime’s ‘news’media, any such proposal cannot be debated, much less advocated. So, wherever you are reading this, is definitely not a part of the regime. It is an authentically free and independent newsmedium, a reliable news-source regarding serious international matters. All the rest — they’re liars; that’s their job.